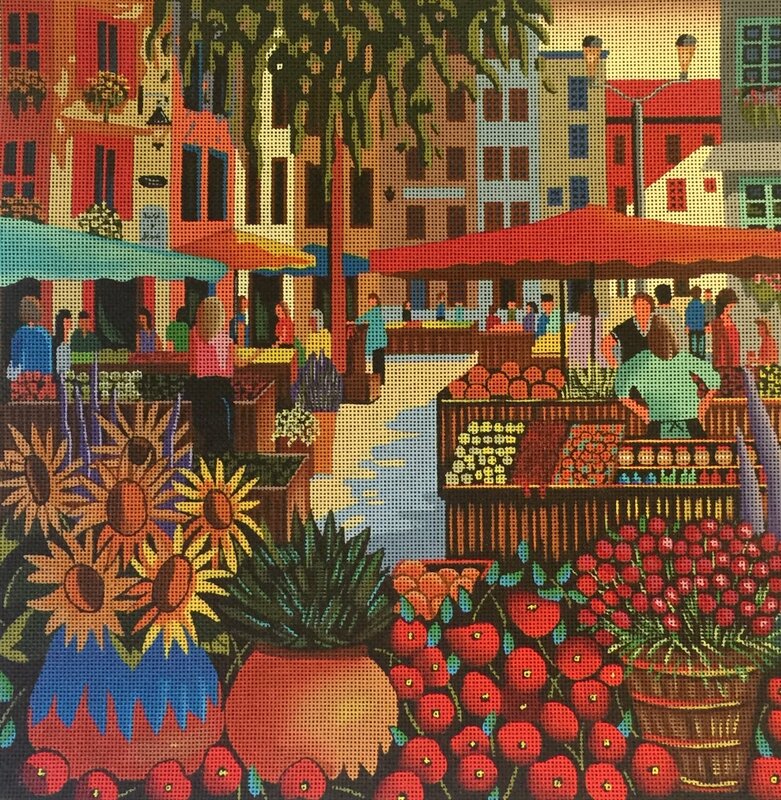 Stitch this gorgeous canvas and imagine yourself strolling through a French Market gathering local baked goods, produce and fresh cut flowers! Paula has created an amazing stitch guide with great dimensional techniques and carefully curated threads, beads and silk ribbon to bring this beauty to life – won’t you join us? Note - Your deposit pays for the class only and reserves your spot in class. We will contact you for credit card information for your canvas and Evertite stretcher bars (if preferred - allow 12 weeks to order if not in stock). The stitch guide, thread kit and stretcher bars will be due at the first class session. Cancellation Policy - For needlepoint project classes, student cancellations must be made at least six weeks prior to the first session to receive a refund for the class fee. After that date, class fees are not refundable and cannot be transferred to another class. Any canvas, threads, stretcher bars or supplies purchased for the class are also not refundable. If you cannot make the class and have missed the deadline, you my convert to a Home Study option. Missed classes are the responsibility of the student and will not be refunded or rescheduled. 3 Kittens will only cancel a class if no students have signed up; however, we may need to reschedule due to weather or illness. Requirements: Bring all your favorite stitching supplies including an embroidery scissors and a laying tool. Instructor Bio: Paula has over 30 years of experience and has taught on the national level.